Moon River Senior Care and Transportation opened its doors in 2012 and initially provided companion care, homemaker services and transportation. In 2013, we became a licensed home health provider and added personal care and skilled nursing to our wide array of services. We believe that the best care is delivered through a team approach, whenever possible. This involves working in partnership with healthcare providers, participating family members and sometimes friends and neighbors who may be part of the care team. We offer flexibility in scheduling to accommodate changes in our client’s needs. This may be due to hospitalizations, unexpected appointments, family visits or vacations. Moon River Senior Care and Transportation is fully insured and bonded, and employs individuals that we would trust to care for our own family members. Employees undergo a thorough screening that includes a nationwide criminal background check, DMV check if applying to be a driver, a personal interview and a review of references. We spend a great deal of time selecting our employees. They are caring, compassionate individuals who have a strong work ethic and approach each assignment with a positive attitude. Our owner, Cathy Olcheski Ahrendsen, has 25 years experience in senior care. This is the second home care agency she has founded. She has received numerous awards for excellence, and her unique agency model has received national recognition from the Beverly Foundation for “best practices.” As a caregiver for her own parents, she is dedicated to every client receiving the same quality of care she wants for her own family members. Ann has served as Director of Nursing with Moon River Senior Care since 2016. She has more than 30 years of clinical experience including 18 years at Reston Hospital, most recently serving as the Nursing Director for the Oncology Unit. She is very knowledgeable about the medical conditions affecting older adults. Ann has extensive experience training staff and educating patients and family members. She can compassionately and skillfully determine what each client needs and is able to develop an appropriate plan of care. Ann is involved with clients on an ongoing basis to ensure that the care meets our high standards. Our staff includes companions, aides, LPNs and RNs. Companions are educated and articulate and include part-time professionals, homemakers, retirees and college students pursuing careers in healthcare. 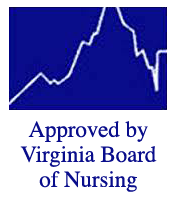 Aides include CNAs licensed in Virginia and LPN and RN students with experience in the clinical setting. Moon River Senior Care and Transportation accepts private pay and long-term care insurance.